Some time ago, it became more and more popular to create an own talent pool as a company. In other words, you collect applications, select the best candidate but store the other good ones in a database. But what you do with the Talent Pool? It is more traditional way of recruiting where there are more candidates then vacancies. Post a job, automatically process the CV’s and get more CV’s by social reference. But by storing the CV’s and make them searchable you create a talent pool too. Which areas and roles are key to your organization’s success today? Which areas and roles do you expect will be key to growth and success in the future? These are the areas you need to develop talent pools for. 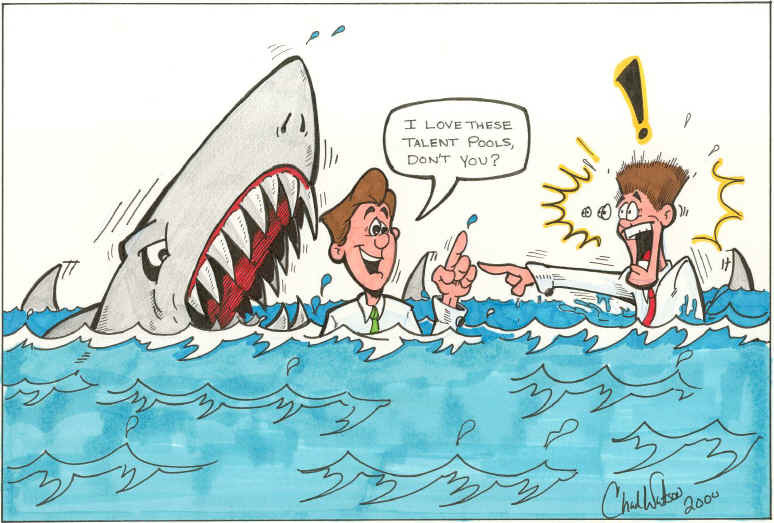 You’ll certainly need a leadership talent pool – most organizations do. And you may want to create a talent pool for mid-level management, depending on the size of your organization. But beyond management and leadership, every organization has individuals or groups with knowledge/skills/ expertise that help the organization to establish and maintain its competitive advantage. In order to preserve your competitive advantage, you need to develop deep bench strength in these areas. Identify the knowledge, skills and/or experience that are critical to success in each area and critical to the organization’s success. One of the ways you can do this is by interviewing current high-performers in those areas, as well as their managers. High-performers — employees who are high performers in their current roles. High-potential employees — people who’ve been identified as having the potential, capacity and interest to advance in the organization and broaden or deepen their knowledge/skills/expertise. But reading the descriptions, it looks like none of the software companies explained how to nurture the candidates in Talent pool. Off course you can search in the pool if you need another candidate. But shouldn’t you activate your Pool and get it alive? If you have some idea’s how then please contact me by submitting the contact form.